Here are all the dust jackets for the first edition Mars books produced by A.C. McClurg & Company from 1917 to 1928 plus the single book from Metropolitan Books, 1931. Cover art by J. Allen St. John except where noted. 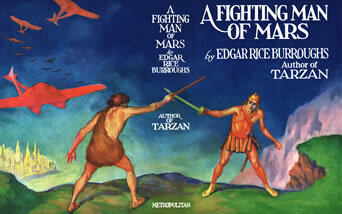 For Mars series books published after 1931 go to the ERB, Inc. Jackets page. 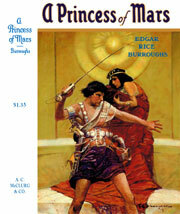 A Princess of Mars: 1917. 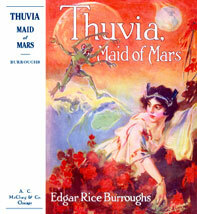 Cover by Frank E. Schoonover. 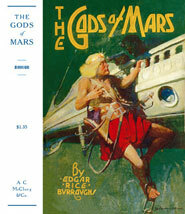 The Gods of Mars: 1918. 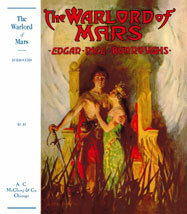 The Warlord of Mars: 1919. 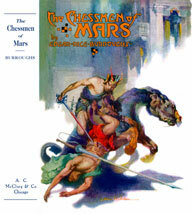 The Chessmen of Mars: 1922. 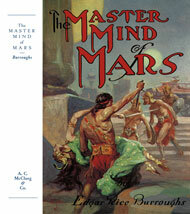 The Master Mind of Mars: 1928. A Fighting Man of Mars: 1931.